What I hate about January is that EVERYONE tries to pack into a tiny gym and you can rarely get booked on classes so, it was a pleasant surprise knowing that there are other, cheaper opportunities out there that puts you through your paces and doesn't have a capacity during the class. This is where UK OUTDOOR FITNESS grabbed not only my attention, but hurdled me into two bootcamp sessions a week throughout January! I'll admit it, during 2016 I did little exercise. I'd done a 5K and I enjoyed running throughout 2015 however, after suffering from a minor stroke, this caused a major setback both physically and mentally and spent the majority of 2016 doing light exercises to build back the strength in the left side of my body. 2017 was a new year and I knew it was time for me to get fit and get back into shape and looking back I couldn't think of a better way to start. My first session began on Thursday 5th January at Brigshaw High School, Leeds. I'm not going to lie, I was terrified. Terrified that I didn't know anyone, anxious about how I looked and dreading how unfit I would look and be in front of all these new people and the trainers running the sessions. Fears were quickly abolished and I was loving this new way of getting fit. From then on I continued to do two sessions a week on a Monday and a Thursday evening at Brigshaw. 5/6 sessions I did were in the sports hall at the school and I chose to do the final session outside in the cold! Each session began with a warm-up, complete with a main activity, a core workout and finishing with stretches. Sounds similar but every session was slightly different in terms of the workouts and activities. Warm-ups were anything from jogging and sidestepping around the sports hall to a game of dodge ball followed by a main activity that varied from mat work to group races adding an edge of competitiveness to your workout because you want to push to win! Core workouts were my main struggle, I couldn't do sit-ups or squats to save my life but each session I pushed and pushed and the hard work paid off because I find it so much easier to do these exercises now - I said easier, not easy! All smiles after a session at Brigshaw! When I started bootcamp my weight was 14st 6lb and being 5'7", this weight meant that I had an obese BMI. This is something that I was ashamed of and I was hoping that with bootcamp and a little bit of healthy eating this could drop and guess what?! IT DID! 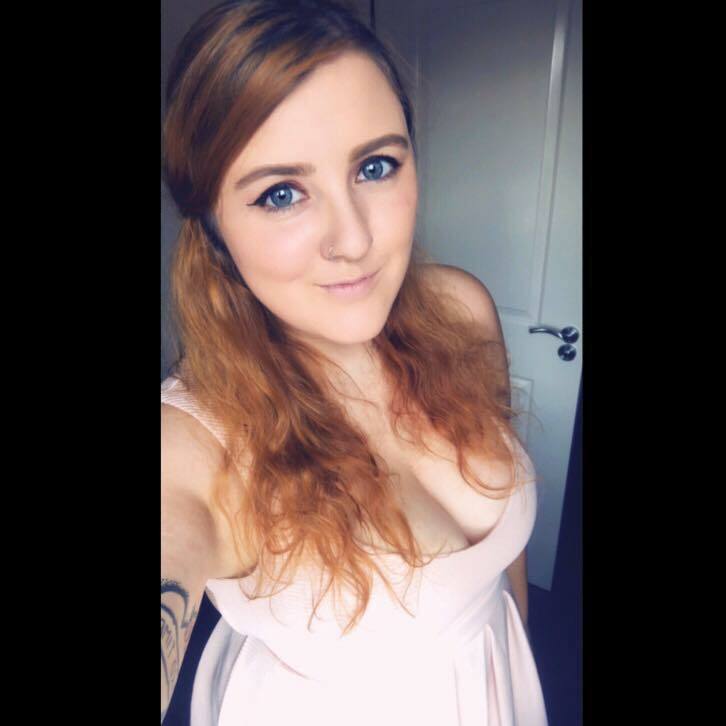 When I stepped on the scales three weeks after completing my first session I weighed 13st 11lb and I honestly couldn't have been happier! I even lost a few inches! Waist - was 36" now 31"
Hips - was 46" now 42"
Thighs - was 30" now 25"
Have a look for yourself with my before and after pictures (excuse the dirty mirror, note to self to clean it). Feeling much better from the front, waistline is looking much better already, still work to be done though! Who knew that the sports bra would actually be able to fasten in less than a month?! It wouldn't go anywhere near when I started! I'm still not at my ideal weight but I know that by continuing these sessions it will help me reach my target. So, maybe you're thinking 'is this for me?' or 'will I like it?' - quite frankly, you won't know unless you try and with UK Outdoor Fitness, you can get your first week free and if you don't like it then there is no obligation to go back! When and where can I find these classes? 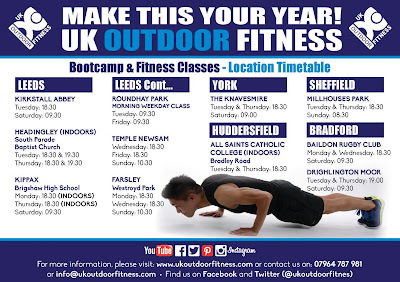 UK Outdoor Fitness run classes at days and times to suit pretty much everyone! With classes in a morning, on an evening and on weekends you'll more than likely find a time that suits you. 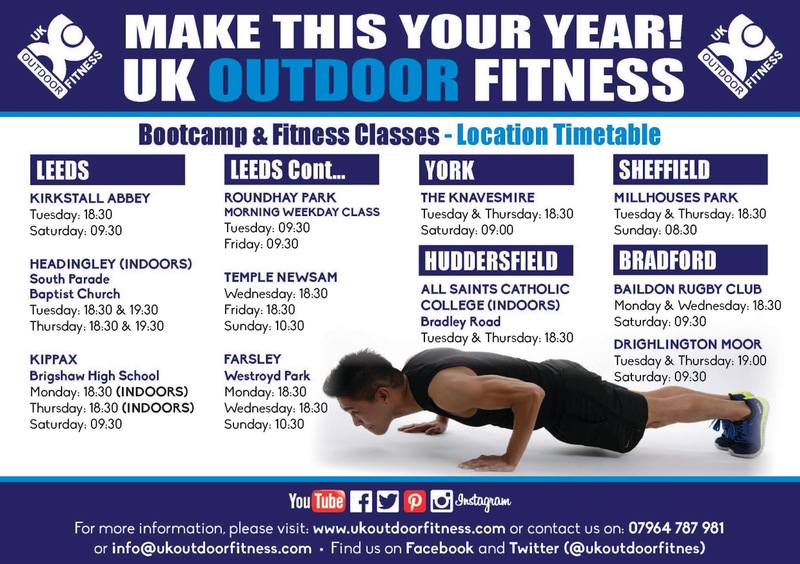 In terms of locations there are loads of classes around the Leeds area as well as York, Huddersfield, Sheffield and Bradford. For more information, check out the website. I honestly couldn't have felt more welcomed the second I walked in! In a gym you're left to your own devices but at these bootcamp sessions everyone motivates each other whether you know one another or not. Warm ups and team exercises enabled me to socialise and get fit! I also thought that the groups would be quite cliquey and everyone would sort of leave me out - how wrong was I?! It's so sociable and I loved it! It's difficult, I felt it too but honestly with so many people motivating you and everyone working towards their own goals, including you, it's easy to forget that anxiety when you're taking part in the session. You'll either be laughing or sweating too much to worry about how you look - you'll love it and if you don't, it's no biggy! So was I! You'll be a beginner (unless you're already active then you will probably find these sessions a little easier, probably still not easy may I add) and because you're a beginner you're bound to be unfit. I'm not going to lie, these classes work you hard and work every part of your body but slowly you begin to feel a difference in yourself after the first few sessions. Even if you're slower than others in the class, everyone motivates each other and you push as far as you want to! With some exercises there are also beginner, intermediate and advanced options which you can choose from (I frequently stayed with beginner options). That is completely up to you! You are in control of what you eat! Personally, I don't eat well and that's my own doing - I've never had all five of my 'five-a-day' and I'm rubbish when it comes to eating fruit and veg - I cannot stand salads. Throughout January however, the only changes I made to my diet was the cutting out of snacks and adding spinach or avocado to my meals (literally the only greens I like) paired with the odd strawberry and banana smoothie in a morning. I still had weekend treats including Chinese and pizza and I still lost 9lb. So knowing that, with an even healthier diet I know I could have lost more. Your first week is a taster, from there you can decide whether this is something for you. From then on there are many different options in terms of payment, from monthly contracts, a month by month membership without a contract and pay-as-you-go. Monthly Contracts - these cost anything between £24 and £32 per month and are based on number of sessions and contract length. Month By Month Memberships - A monthly membership for unlimited sessions is £40, if you're a full-time student this is reduced to £24 per month. There are also group discounts available. 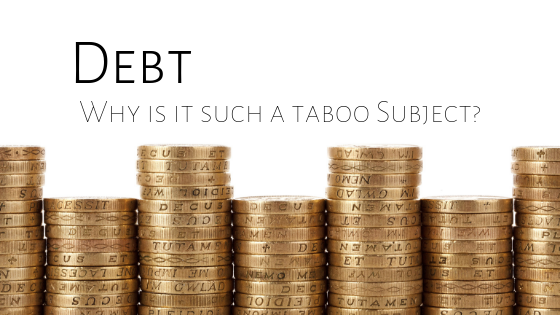 Pay As You Go - Not everyone like to pay monthly or be tied into a contract therefore the pay-as-you-go option may be more suitable for your needs. Each session is only £7 and you pay on the day. Alternatively you can buy blocks of 10 sessions for £60 or pay a full year upfront for £280. What if I want to do it with my friend or partner? Then there's a discount! I think fitness is always easier with other people and even though there are plenty of people at the classes, you may want to bring a friend or partner. For only £55 per month you can get unlimited membership for two which is an absolute bargain! Last little thing - make sure you are accompanied by a bottle of water and ladies, 110% wear a sports bra! I'd just like to say a massive thank you to Paul for giving me this opportunity and Rob for being a fab, motivational trainer! I'll certainly be going back and making a regular appearance! ** The bootcamp sessions were complimentary but weight loss and opinions are honest.